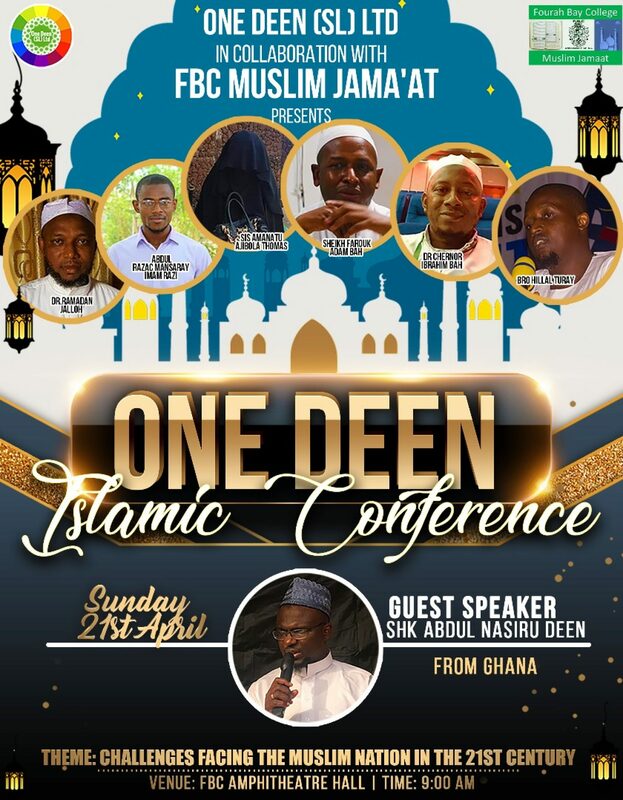 Bringing you authentic Islamic Information in Sierra Leone and Beyond. The visit of King Salman to the Madinah region carries wide prospects for the future of the city of the Prophet Muhammad (peace be upon him). The visit will launch a number of development and service projects that will support economic development in the city and enhance social and economic growth. Madinah is undergoing many large-scale developments in accommodation, education, transport, health, and infrastructure, as well as a number of other projects that aim to provide better services for pilgrims visiting the Prophet’s Mosque. Dar Al-Hijrah is one of the major projects under construction in Madinah, and it will include the administrative offices of Hajj missions and guides, the General Cars Syndicate, a travel agency, medical missions and a number of other services. It will also include a luggage transportation station that will enable pilgrims to check their luggage and receive it in their home countries. The area of the Dar Al-Hijrah project is about 1,600,000 square meters, and it is a few kilometers away from the Prophet’s Mosque. The capacity of the projects is about 120,000 people, and it can be considered a small city with integrated services. The cost of the project is about SR55 billion ($14.7 billion). Dar Al-Hijrah comprises 100 towers: 20 administrative and 80 residential towers. These towers will have comfortable and secure residences for pilgrims. There will also be 76 four-star hotels and six five-star hotels, which will offer 40,000 rooms to pilgrims from different nations. There will also be a hospital with a capacity of 400 beds to serve the project and the surrounding area. There will be a transit center to transport pilgrims to and from the Prophet’s Mosque via an elevated railway above the level of roads. The project will create 31,000 job opportunities. The project comprises three phases. Work on the first phase, to build infrastructure, started in July 2014, while the second phase will focus on building administrative offices, as well as offices for the Ministry of Hajj and the Central Hajj Committee. The third phase will be dedicated to building residential towers. The Haramain High-Speed Rail project in Madinah is located about five kilometers away from the Prophet’s Mosque, and it has been built on an area of 147,000 square meters. The cost of the station is SR1,545,822,769, and it is one of five stations along the line which will cover 450 kilometers ­— from Makkah to Madinah — and is expected to transport about 3 million passengers annually between Makkah, Madinah, Jeddah and King Abdullah Economic City. The station will be a new gate serving pilgrims after the official opening of the new Prince Mohammed bin Abdul Aziz Airport. The number of journeys will be around seven trains every hour — off Hajj season — between Makkah and Jeddah, and two journeys every hour between Makkah and Madinah, bringing the daily total number of journeys to 36, carrying around 15,000 passengers. The number of journeys may increase later on. The Haramain rail station in Madinah includes services and facilities for passengers that have been prepared according to international standards for high-speed trains. The main building includes terminals for arrivals and departures, a VIP lounge, a mosque that can accommodate up to 1,000 worshippers, a civil defense center, a helipad, train platforms, waiting area and two car parks. Wahat Al-Qur’an (The Oasis of the Qur’an) is another major project in Madinah. This historical, educational and cultural project, which will be built on an area of 200,000 square meters, will be like a museum and cultural center for teaching Qur’an employing state-of-the-art technology. The project includes an exhibition hall, special teaching sections for men and women, a Qur’an library, a conference center, a research center for Qur’an studies, a research department, as well as administrative sections, a public square and gardens, a support services center, and a car park. The king will also launch Islamic University projects, with a total cost of SR843 million; projects of General Directorate of Education in Madinah, with a total cost of SR341 million; projects for the General Administration of Water Services in Madinah, with a total cost of SR235 million; projects for Taibah University, with a total cost of SR260 million; projects for Saudi Electricity Company, with a total cost of SR1 billion; projects for Madinah municipality with a total cost of SR1 billion, as well as projects for health affairs in Madinah, with a total cost of SR500 million. Previous Post: Bangladesh film star turns Islamic preacher to draw young people to Islam. Welcome to Sierra Leone Islamic Web! Join Islamic Online University Today! Islamic Online University in Sierra Leone Click on the above image to know more! The numbers in black are the gregorian date and the numbers in green are the hijri dates. The highlighted blue shows the beginning of a new month for the two calendars. Enter your email address to subscribe to Sierra Leone Islamic Web and get the latest of everything happening. Address: No49 Circular Road (3rd Floor), Freetown.